In episode 8 of my video blog I show how to modify standard skateboard trucks to fit a 70mm electric hub motor from Maytech (available for $99). 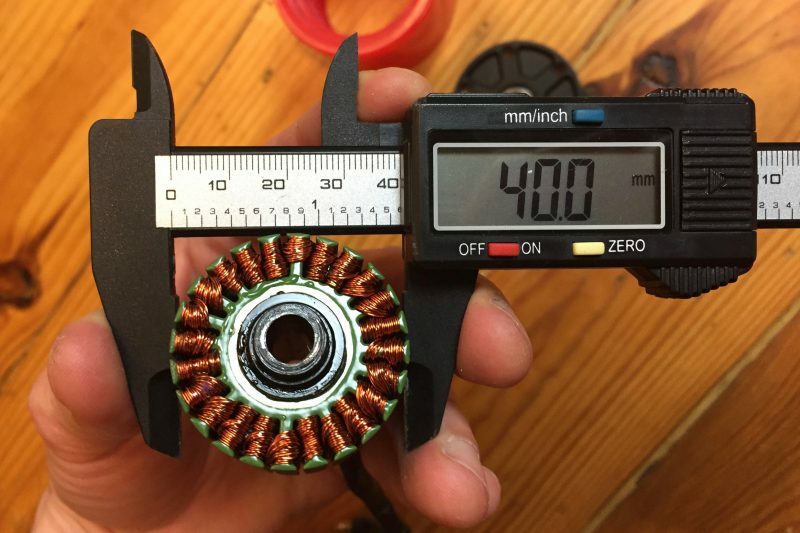 This is a follow-up to my review of the Maytech 90mm hub motors and part 1 in series of how to build your own light-weight electric skateboard. Here are the photos of the hub motor motor components — the stator, rotor and the wheel. The rest of the photos are available on Flickr. To buy these motors you can get in touch with Eileen from Maytech eileen@maytech.cn — and don’t forget to refer to this blog for a discount. Stator, rotor, wheel and the cover of the hub motor. Stator of the hub motor. 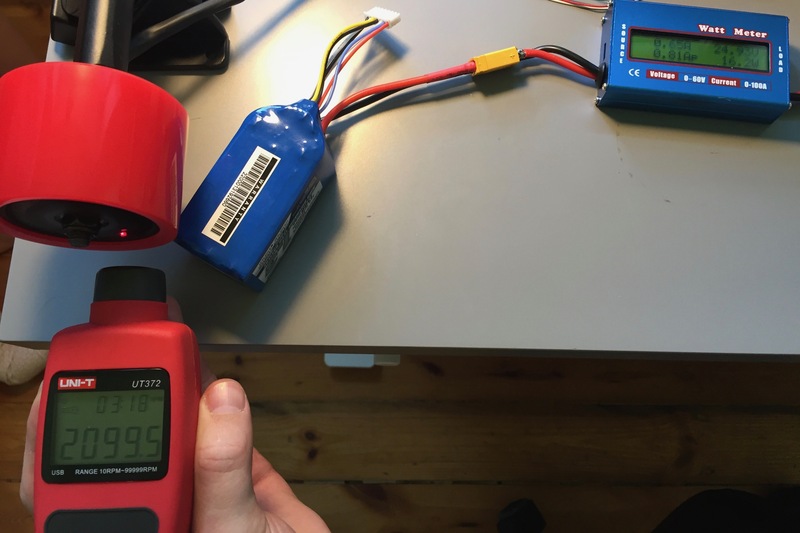 Measuring the KV rating of the motor — 2100 RPM at 25V is 84. 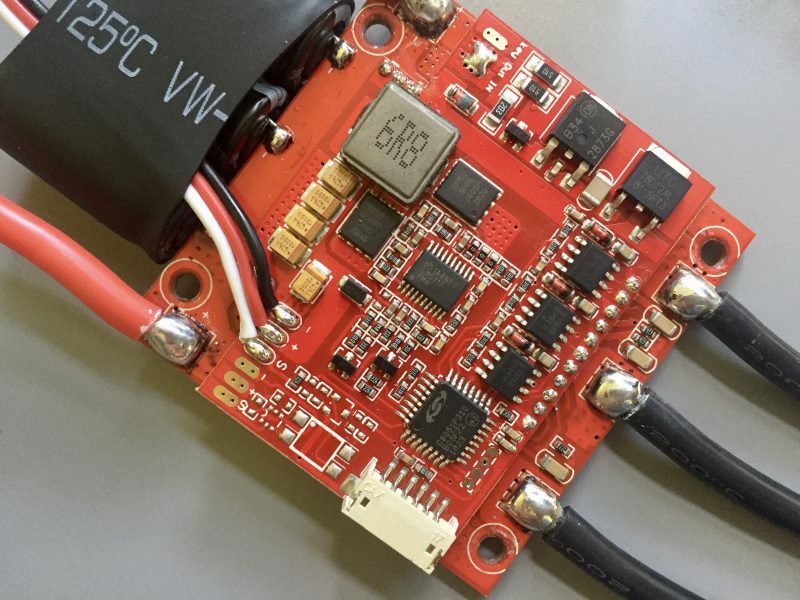 During the first test run I was using the new high-voltage 12S 120A skateboard speed controller from FVT. Here are the photos of the teardown. Have you had a chance to test the 90mm Maytechs? The weather is warmer now! Haha, I wish it didn’t snow right now :) However, I did manage to try out the 90mm hubs with a 6S pack and the Flier dual motor ESC (here is a photo) and the torque is amazing. I’m not sure about the top speed but that’s expected considering the 85KV rating and the 6S LiPo pack. The maximum power draw for both motors combined was 700W (or 30A at 23V). It might be limited by the battery pack performance which I need to verify. Thank you for the remarkably informative video, photos, and write up. 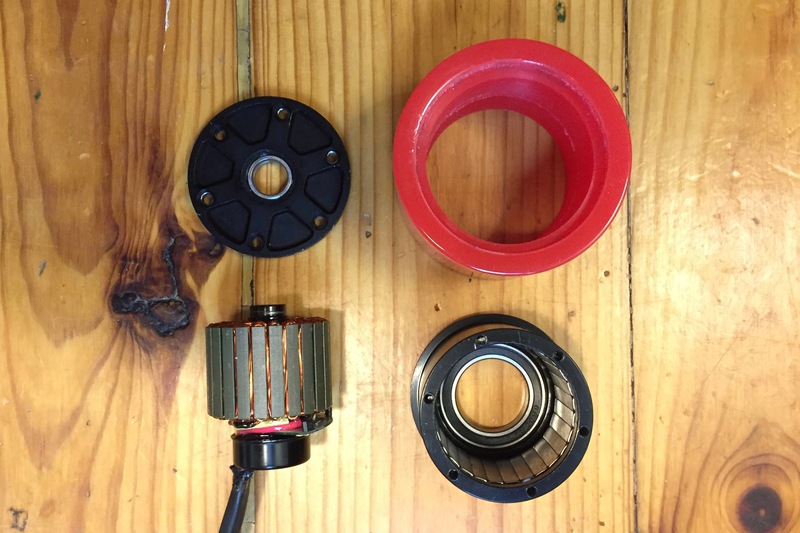 Do you know where one can buy replacement wheels for the 70mm electric hub motor from Maytech? Also, have you looked at https://www.uumotor.com/electric-skateboard-motor-wheel-trucks-set.html and https://www.uumotor.com/24v-120w-1500rpm-single-motor-drive-electric-skateboard-kit.html? Do you know how the uumotor.com electric skateboard wheels compare to the maytech.cn electric skateboard wheels? I hadn’t seen those, thanks for sharing Ken! Those look similar to these on Alibaba. Would be interesting to try them out. Did u get good result with 12s120 fvt’s esc in sensored mode? No braking bug when release it or other bad feeling? Did u use the stock firmware or anither one? I m testing some maytech 12s120 sensorede esc and twin fvt 12s120 (waiting to receive it)for use in sensored mode on mountainboards. In sensored mode, there’s no electrical feedback when breaking but there is a burst of forward spin after releasing brakes!! Did you meet this kind of issue with yours esc? Yes, FVT just released a new firmware update 170818 which fixed the issue with random acceleration after braking for me. See their downloads page or use this local copy. Is that above the fully-charged battery voltage? I don’t think I’ve tested this with the power logger, yet. what is mosfet part number? Unfortunately, I didn’t remove the heatsinks because they were soldered to the board.